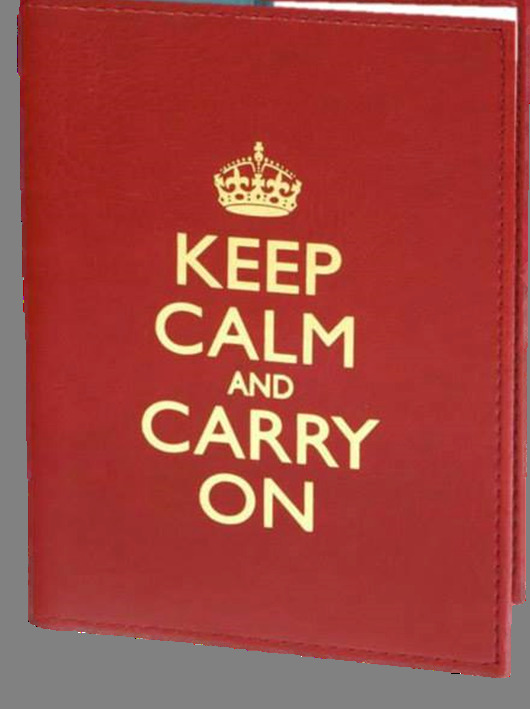 Our Keep Calm and Carry On blank book may not have any words in it but the slogan on the cover gives it just the right word count to get you started. In red leather that's snappy as a Ferrari. If you race Ferraris, keep your race times, your gas mileage or your trip journal in it. If not, the blank pages work as a diary or organizer for other hobbies and professions just as well. 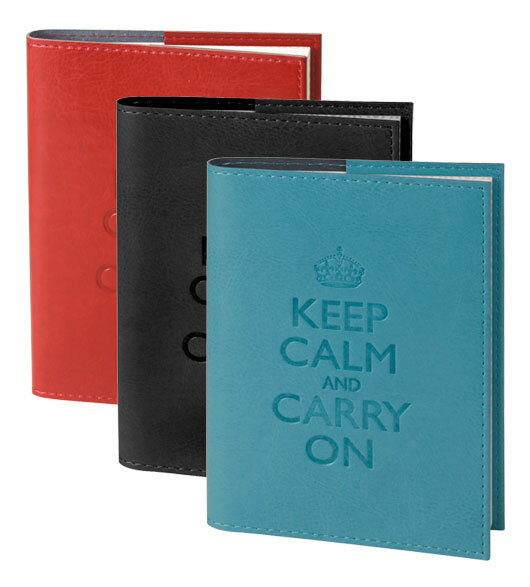 A blank book can be a best friend sometimes, speaking of which, your best friends will love a Keep Calm and Carry On blank book as a gift. 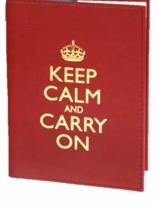 Keep Calm and Carry On is a meaningful message to remember for friends, relatives and ourselves. Luxurious red leather blank book from Italy. 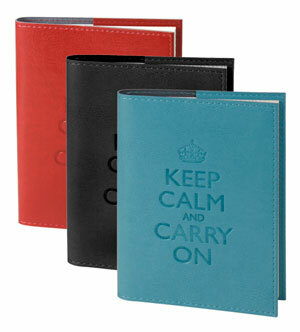 Embossed "Keep Calm and Carry On"
Refillable with standard stationery store refill or from us. 5" x 7", lined pages. Read more about The History of Keep Calm and Carry On at WIKIPEDIA.